Liz Whitford is a Milwaukee stage and film actress, sassy pin-up model, witty emcee, outgoing spokes model, gig/event actress and past web TV show host! Comedy, horror, Shakespeare, drama - she's done it all. Let her entertain your guests, audiences, listeners and/or viewers! "As witnessed here and elsewhere, Whitford has impressive comic instincts." Russ Bickerstaff, Shepherd Express. "Returning to London, we join Lucy (Liz Whitford) and Mina. Even in Stoker's novel, Lucy is more sexual than Mina. Kopec goes further; his Lucy hungrily vamps both before and after she joins the undead. It is Lucy - not Dracula and certainly not Jonathan - who triggers Mina's sexual awakening, just as it is other women with whom Mina will join forces to take back the night." Mike Fischer, Journal Sentinel. "It’s a very striking transformation and Whitford carries it off brilliantly." Russ Bickerstaff, Shepherd Express. "Whitford, a perfectly raunchy Lucy, admits to violent sexual fantasies even as she maintains an adorable charm." Danielle McClune, Urban Milwaukee Dial. 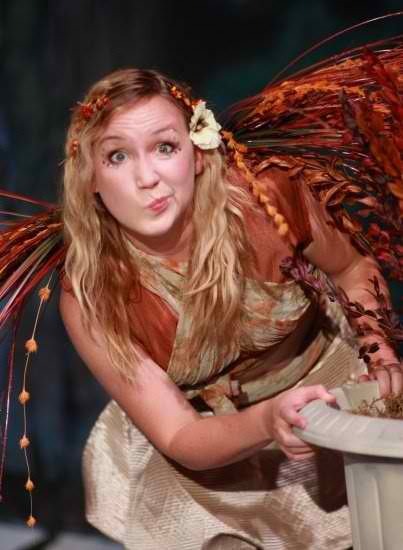 Liz Whitford is a Milwaukee native and loves making local audiences laugh or cry or any other random emotion in between. Most of all, she loves the amazing group of actors, directors, theater owners she gets to work with! Recently, in 2013, Liz performed in the retelling of three horror productions at the Alchemist theatre in which she was in the original cast years previous. She portrayed Holmes’ wife Merta in “House of Horrors, H.H. Holmes,” Lucy Westenra, in “Dracula” and Polly in “The Canonicle Five: Jack the Ripper.” In 2011, Liz portrayed the sweet, innocent Marguerite in the sold-out-production of “Faust.” Also, Liz has performed in several In Fools For Tragedy productions including “Medea” and “In My Mind’s Eye” (a production of Hamlet). Recent film projects include three years in Milwaukee’s 48hr Film Project and the “Spade County Massacre.” She has also performed in informative training videos as well. She has a 9-5 as a communications coordinator but is free most evenings and weekends. 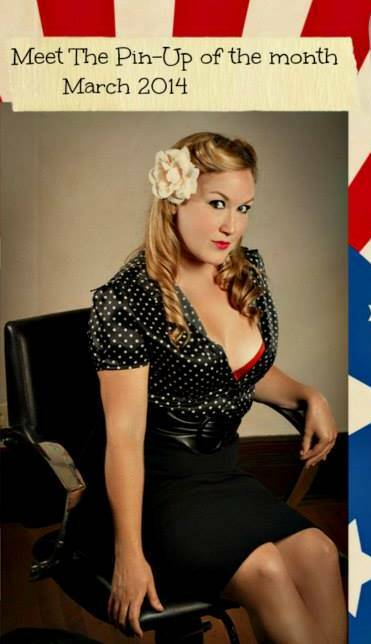 Liz is also a pin-up volunteer for a local non-profit that raises money for the USO and VA hospitals. She is often an emcee for charity events and corporate meetings. Liz has worked several gigs for local professional events as well. From dressing up as a lobster and greeting guests at the Pfister for a Under the Sea charity event to dressing up as a safari guide for a corporate event at the zoo, Liz has done it all! In the past, she was also the host for a web TV show based in Milwaukee. She is professional and reliable, yet also entertaining and fun! For theater reviews of her past work, go to (link hidden) and type Liz Whitford in the search field.